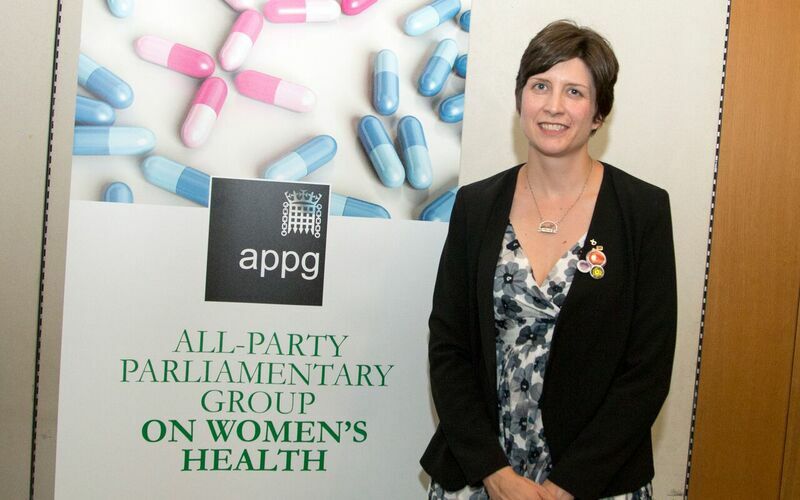 Alison Thewliss, MP for Glasgow Central, attended a reception hosted by Paula Sherriff MP, chair of the All-Party Parliamentary Group on Women’s Health, at the Palace of Westminster to show her support for efforts to raise awareness of women’s health conditions, and empower women to seek appropriate treatment. Women are not being treated with the appropriate respect and sensitivity according to MPs and health campaigners who together are launching a new All-Party Parliamentary Group on Women’s Health. The group aims to empower women to ensure that they can make an informed choice about the best treatment for them and that they are treated with dignity and respect. The event was attended by many parliamentarians, and was supported by a number of representatives from charities and the medical and nursing Royal Colleges, patients, health professionals and the general public. Speakers included Katie Piper, television presenter and founder of the Katie Piper Foundation, feminist campaigner Caroline Criado-Perez, Angela Rippon, television journalist, newsreader and presenter and patients and Dr Gina Radford, Deputy Chief Medical Officer at the Department of Health. “It is not acceptable that in 21st Century Britain, women are not treated with appropriate sensitivity and respect in our NHS. The NHS does an excellent job looking after us, but a universal culture should be adopted across the service where dignity is the key word.